I'm so cheating with this one. 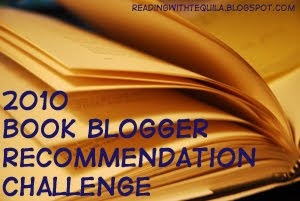 I checked out the list, there are so many on it that are on my TBR list for 2010 that I had to join! There are 5 levels with the minimum being read 5 books from the list. Level V is to read 20+. Audio and ebooks count, re-reads do not. Reviews would be nice but are not necessary. I'm going for Level I - read 5 books so I have a chance of completing this one.